Pictured: Drawing on its racing heritage, all three vehicles – GTSR (sedan), GTSR Maloo and GTSR W1 - share consistent, track-inspired styling and performance DNA. Australia’s leading performance car manufacturer, HSV, today confirmed the reintroduction to its line-up of the much-revered GTSR nameplate as part of the final build of the locally manufactured “Zeta” platform. First seen on an HSV in 1996 with the introduction of the much-acclaimed VS model, HSV will offer three GTSR model variants as part of its MY17 range. 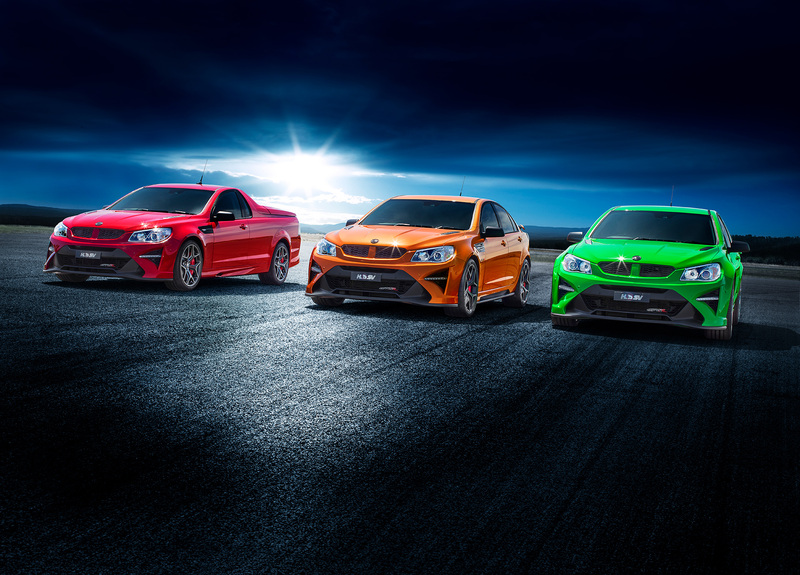 Drawing on its racing heritage, all three vehicles – GTSR (sedan), GTSR Maloo and GTSR W1 - share consistent, track-inspired styling and performance DNA. Delivering a lower, wider, more muscular stance, reinforcing HSV’s track heritage and making a bold design statement were key drivers of the GTSR design program. 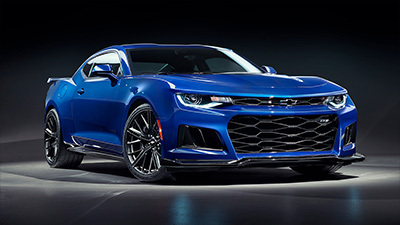 All vehicles feature an all-new front fascia with the extensive use of matte black accents and clean, aggressive graphics that maximise air-intake and deliver a distinctive, race-inspired appearance. 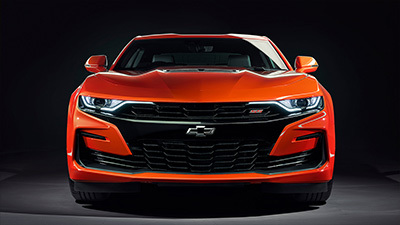 A bold front splitter runs around the lower edges to accentuate the low-slung stance, with new Daytime Running Lamps completing the unique front-end design. 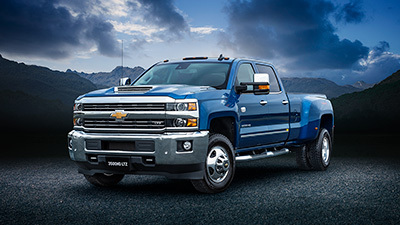 The wider stance is enhanced through the adoption of bold, new and wider front fenders. These fenders are 12mm wider (per side) than the balance of the HSV range and feature new horizontal fender vents – carbon-fibre on GTSR W1. 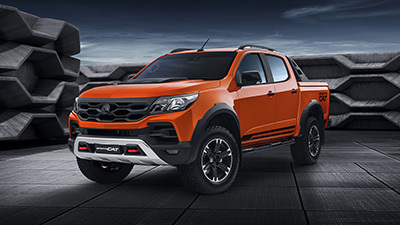 In addition to helping deliver a more aggressive front-end stance, the wider fenders were required to house the all-new 20” x 9” (front) and 20” x 10” (rear) SV Panorama forged alloy wheels. These stylish, 5-spoke alloys, finished in Hyper Dark Stainless on GTSR and GTSR Maloo and Matte Black on GTSR W1, are ½ inch wider than the balance of the MY17 range and feature waisted spoke sides that aid weight reduction. A premium, AP Racing, 6-piston brake package, featuring monoblock calipers and massive 410mm (front) rotors and large Ferodo 4488 brake pads, adorn all three GTSR models. The new 410mm diameter rotor is a fully floating design using technology derived from race-cars but refined for the road. The monoblock caliper construction delivers an improved strength-to-weight ratio while the 410mm rotors share race-inspired (“S” vane) cooling technology. This world-class braking package takes AP Racing radical design to an all new level delivering outstanding stopping power and brake modulation, and an even firmer pedal feel. Complementing the GTSR range’s wheel and brake package, GTSR and GTSR Maloo feature Continental ContiSportContact 5P tyres. These tyres have been fitted to all HSV models since the introduction of the GEN-F range and were initially chosen for their superior dry and wet weather performance and for offering the finest balance between road holding and ride comfort. The GTSR W1’s forged alloys are wrapped in specially selected Pirelli P Zero Trofeo R 265/35 R20 (front) and 295/30 R20 (rear) tyres. After extensive evaluation by HSV engineers, these Pirelli tyres were chosen for their ability to maximise the vehicle’s track potential. The Trofeo R tyre is essentially a track-focused race tyre with a unique tread and compound that delivers exceptional performance and helps maximise standing start and mid-corner grip. From a suspension perspective, GTSR will feature HSV’s Magnetic Ride Control system, a semi-active suspension system which responds to road inputs and driving conditions with dampers updated every 1000th of a second to optimise ride comfort, while GTSR W1 will be fitted with all-new “SupaShock” suspension. This race-inspired suspension system mirrors that fitted to Walkinshaw Racing’s “Supercars” - refined for on-road driving but with a tune that is undeniably track focussed to maximise the vehicle’s intent. Internal components come straight from the racing industry with linear-style damper pistons that deliver the lowest frictional losses of any commercial damper available and a front coil design rated at approximately 2.2 times higher than the balance of the HSV range. At the rear, both GTSR and GTSR W1 feature an all-new fascia and diffuser that houses quad exhaust outlets with dual diamond tips (shadow-chrome on the GTSR W1), while the decklid features HSV’s new “Aeroflow” spoiler delivering a strong and cohesive, race-inspired look. The spoiler upper is finished in carbon-fibre on GTSR W1. GTSR Maloo also features a new wide and lower diffuser and quad exhaust outlets that combine to deliver a fresh and distinctive rear-end appearance. 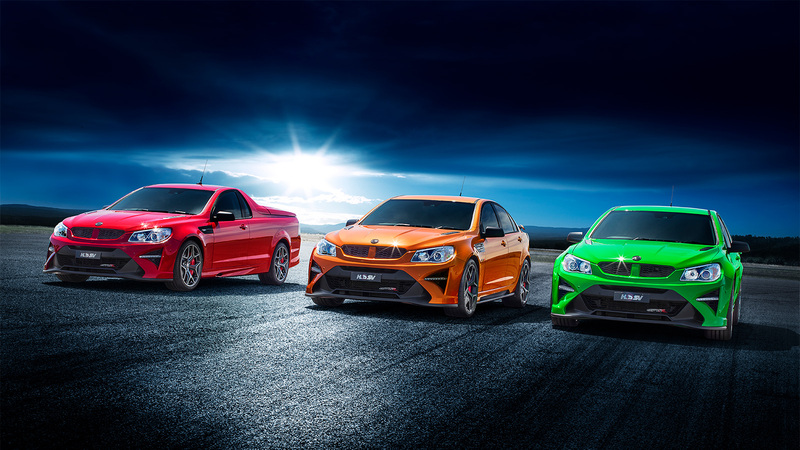 Internally, the GTSR range reflects its track heritage with all three vehicles featuring new HSV Podium seats finished in Alcantara with diamond-quilted stitching and leather bolsters (GTSR and GTSR Maloo) and full Alcantara with diamond-quilted stitching (GTSR W1). Striking red herringbone twin-needle highlights also feature extensively through-out the cabin, while an Alcantara-wrapped, sports-profile steering wheel and gear selector are standard on GTSR W1 and optional on both GTSR and GTSR Maloo. 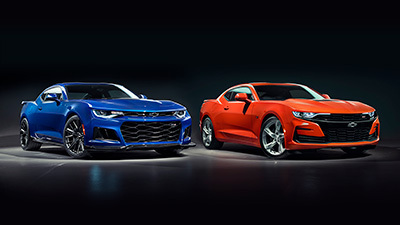 HSV’s engineering team have worked feverishly to squeeze every ounce of potential out of the 6.2 litre Supercharged LSA Generation IV Alloy V8 that powers both GTSR and GTSR Maloo. The adoption of a new, (K’N) hi-flow performance air filter sees maximum power output increase to 435kW, making this the most powerful LSA V8 engine HSV has ever offered. GTSR W1 will feature the acclaimed 6.2 litre Supercharged LS9 Generation IV Alloy V8 engine as originally fitted to the 6th generation Chevrolet Corvette ZR1. Aided by its 2.3 litre supercharger, forged aluminium pistons, dry sump and carbon-fibre airbox (specially designed by HSV to satisfy the engine’s unique air-flow requirements), the LS9-powered GTSR W1 will have a maximum power output of 474kW making it the most powerful performance production car ever built in this country. Maximum torque (815Nm) places the vehicle in “V8 Supercars” class. This hand-built engine (it takes approximately 5 hours to assemble) is to be fitted at HSV’s production facility in Clayton, Victoria. To optimise the potential of this powertrain, GTSR W1 will utilise a Tremec TR6060 (MH3 spec.) close-ratio, 6-speed manual gear box with a ZF SACHS twin-plate clutch. This gear-set, including solid-plate flywheel, is new to HSV and helps keep engine RPMs more centred around maximum power output. When mated to this higher revving engine, the transmission gives the driver a much more useful power-band, helping optimise the driving experience. Along with the ability to support the higher torque output of the LS9 engine, the MH3 gear-set delivers outstanding overall shift feel, with short throws and smooth gear synchronisation. The bi-modal exhaust system fitted to the three GTSR models has been calibrated to open earlier in the “rev” range than previous HSV models, rounding off one of the most significant powertrain programs in HSV’s history. All three GTSR models will also be fitted with performance features signature to the HSV range including Torque Vectoring, Enhanced Driver Interface and a Driver Preference Dial to moderate key electronic vehicle systems including Traction Control, Launch Control, Torque Vectoring, Bi-Modal Exhaust and Electric Power Steering. Three new colours will be available with the GTSR range – “Spitfire”, a vibrant green, “Son of a Gun”, a gunmetal grey and “Light My Fire”, a metallic, burnt orange. A tailored, high-quality car cover will also be offered with all GTSR models, individually numbered on GTSR W1. 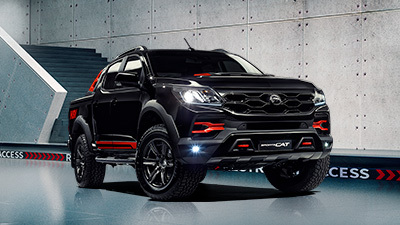 “With the MY17 range being the last of the Zeta platform product (GEN-F range), our intentions were always to send the platform off with a bang and the content we have delivered is central to that plan”, said HSV’s Managing Director, Tim Jackson. “We’re confident we’ve delivered our best product ever, and the greatest performance cars ever produced in this country”, he said. Build of the GTSR range commences in April and while all vehicles will be available in limited quantities, production of GTSR W1 will be limited to approximately 300 vehicles.